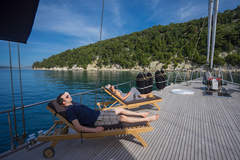 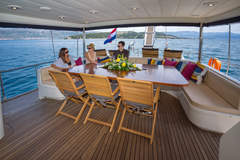 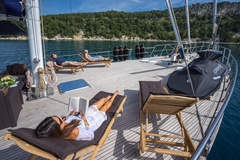 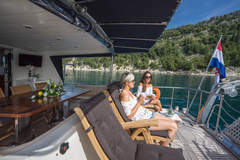 Luxurious 30 meters motorsailer with 5 cabins for up to 10 guests and 4 crew members, air conditioning, Wifi, watermaker, barbecue, waverunner, waterski and other water sports. 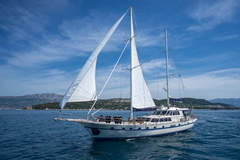 Available in Croatia (Split). Luxurious 30 meters gulet with refitting in 2017, 6 cabins and 6 crew members, air conditioning, TV, DVD, CD, Wifi, waterski and different water toys in Greece. 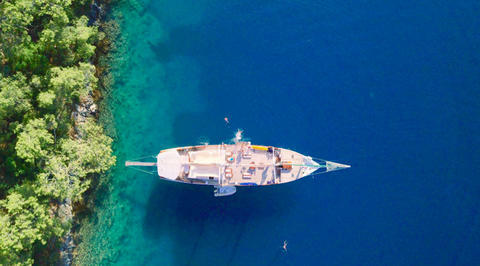 Base: Athens. 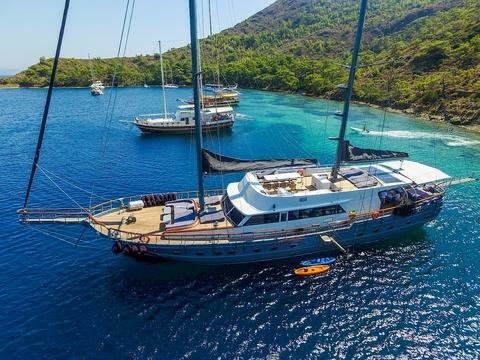 28 meters gulet with 6 cabins for 12 guests, 4 crew members, air conditioning, TV, Wifi, Hifi, generator, waterski (on request), snorkeling and fishing gear in Turkey (Göcek, others on request). 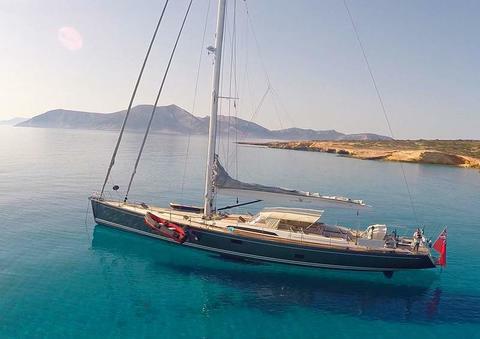 Complete refitting 2018 / 2019!